Home > ShowNews > EBACE > EBACE 2019 > EBACE 2018 > EBACE 2017 > EBACE 2016 > EBACE 2015 > EBACE2014 > Top 10 Leaders For EBACE 2014: Brian Humphries - End of an Era? Top 10 Leaders For EBACE 2014: Brian Humphries - End of an Era? Brian Humphries, president of the EBAA (and formerly its CEO) and probably the best-known face and most-liked business aviation personality in Europe, says he is considering not standing for re-election next March. “I’ll see what they say at the board meeting, but my intention at the moment is not to stand next year,” he told ShowNews. “I think people start feeling sorry for you if you go on too long,” Humphries says. He’s unlikely to make another unplanned return, referring to a time a few years ago when a newly appointed EBAA CEO retired due to ill health and Humphries volunteered to fill the void. Humphries’ association with the upper echelons of the EBAA started in 1993 when he was still head of Shell’s flight operations department. He started with the EBAA as treasurer. “At that time we had 60 members, 1.5 staff, a budget deficit and were based at the old Aero Leasing offices. Aero Leasing was at Brussels airport next door to Abelag Aviation, but we got chucked out of there when Aero Leasing went bust – so we found a little apartment to operate from. It actually had two bathrooms and was over a sandwich shop. A new CEO was appointed but resigned through ill health after about a year, so Humphries came back and served as CEO and president until Fabio Gamba was installed as CEO two years ago. “The EBAA has come such a long way and we have a great team now,” Humphries says. “We’ll very soon have 12 staff in a very nice dedicated office suite in Brussels.” Today’s EBAA has more than 600 members and is in the process of recruiting a new communications manager and a new team project manager. Your essential planning and budgeting tool for 2016! 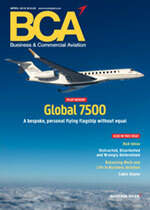 Features comparative purchasing and operating costs of aircraft equipment, personnel, support and more!